Marine: relating to or found in the sea. Warranty: an engagement by the insured party that certain statements are true or that certain conditions shall be fulfilled, the breach of which will invalidate the policy. Surveyor: a person who investigates or examines something, especially boats for seaworthiness. It is the duty of the Assured to procure the compliance with all recommendations, requirements or restrictions of the Marine Warranty Surveyor within the specified timescales. In the event of a breach of this duty, Underwriters will not be liable for any loss, damage, liability or expense arising from or contributed to by such breach. The Marine Warranty Survey shall be conducted in accordance with the Marine Warranty Surveyor Code of Practice (CoP) and the GSOW contained herein (or the Project specific Scope of Work (PSOW) as agreed by the Contract leader(s)). A material change to the project will require a review of the Scope of Work. The cost of the Marine Warranty Survey will be borne by the Assured. Any expenses incurred to comply with the Marine Warranty Surveyor’s recommendations will be solely at the expense of the Assured. The Marine Warranty Surveyor shall not be restricted from furnishing information to or consulting in an unrestricted manner with Underwriters. Underwriters shall be entitled to receive a copy of any recommendations and/or reports directly from the Marine Warranty Surveyor. The fundamental objective of the Marine Warranty Surveyor is to make reasonable endeavours to ensure that the risks associated with the warranted operations to which a Marine Warranty Surveyor is appointed are reduced to an acceptable level in accordance with best industry practice. The Marine Warranty Surveyor Company will only appoint personnel who are demonstrably competent, in terms of qualifications and experience, to perform the review/approval activity being undertaken in accordance with the Marine Warranty Scope of Work. The Marine Warranty Surveyor will be satisfied, so far as possible, that the operations are conducted in accordance with: · recognised codes of practice for design and operations; · best industry practice appropriate for the vessels, equipment and location; · vessels and equipment being used within defined safe operating limits. 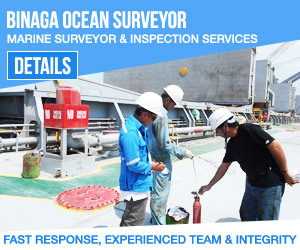 The Marine Warranty Surveyor will make available to Underwriters: · an opinion on the adequacy of the Marine Warranty Scope of Work; · particulars of the experience of the key personnel to be engaged; · a schedule of actual and proposed site attendances; · a schedule of Certificates of Approval to be issued. Experienced team of professionals provides Marine and Cargo Inspection services to a wide variety of clients in numerous industries. On/Off Hire Bunker ROB and General Condition Survey. Hull and Machinery Damage Survey. Mooring Master for STS operation. Pre-shipment Condition Survey of Project Cargo. Loading/Discharging Supervision of Heavy Lifts and Machineries. Cargo Damage and Insurance Survey. Stuffing/Un-stuffing of General Cargo and Frozen Foods/Fruits. In case you need a Marine Cargo Surveyor in Batam, Indonesia please do not hesitate to contact this reputable and credible Marine Cargo Surveying Company Indonesia, PT. 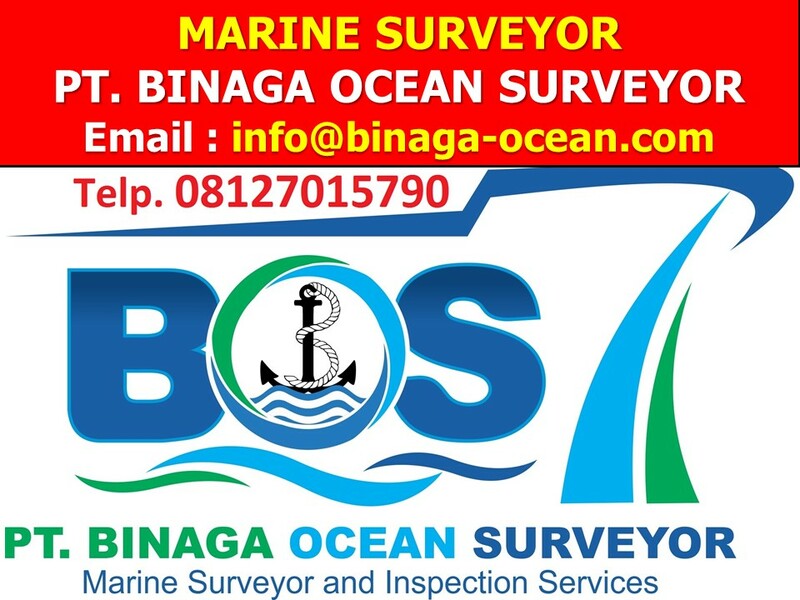 Binaga Ocean Surveyor (BOS). 0 Response to "MARINE WARRANTY SURVEY"
Marine Surveyor & Inspection Services, Bunker Survey, On Hire Survey, Off Hire Survey, Condition Survey, Stuffing Survey, Loading Survey, Damaged Survey, Discharging Survey, P&I Survey, Towing & Lashing Survey, On Hire ROB and Condition Survey, Towing Approval Survey, Free Gas Survey, The Vanning Survey Report, Towing Approval Survey, Off Hire ROB Consumable Survey,Tank Dryness/Cleanliness Inspection, Stuffing/Un-stuffing of General Cargo and Frozen Foods/Fruits, Damaged Survey.